​Electric Service Company has employees specialized in Heating, Ventilation & Air Conditioning, also known as HVAC. They are trained to install new units as well as fix and troubleshoot existing units. At ESCO we install Lennox and Aire-Flo brand furnace and air conditioners but will repair and have knowledge on any brand available. From commercial buildings to residential homes, no job is too big or small. 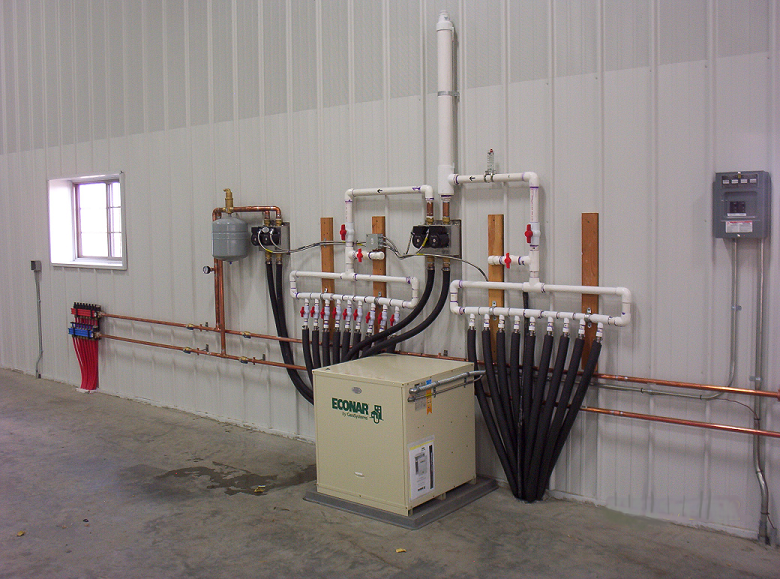 Our experts also have experience in geothermal system installation and design. This cost efficient system uses the earths natural heating and cooling to heat and cool your home, and has been proven to pay for itself in a short number of years. To find out more about GeoThermal units and the technology behind them, view the Department of Energy video below. You can also call us at Electric Service and we would be happy to answer any questions you may have on this topic, or set up an appointment for an evaluation. You can also call us at Electric Service and we would be happy to answer any questions you may have on this topic, or set up an appointment for an evaluation. If you are looking for heating or air-conditioning parts, we sell a large assortment of products over the counter. If we don't have it in stock, we can order it for you in a timely manner. ​At Electric Service Company, our plumbers come with multiple years of experience. They can handle any job, whether it be a leaky faucet, installing a new water heater, or assisting with a full bath or kitchen remodel. They take their time to ensure that each job is done correctly, and are happy to answer any questions our customers may have before, during, and after the repair or installation process. If you have plumbing related questions, please feel free to contact us and we will be happy to assist you. If you are looking for a plumbing part or product, call or stop in and inquire about our selection. If we don't have it on hand, we can order it for you from the top brands.